With Sen. Ben Nelson (D-NE) acknowledging that he will likely vote "yes" on cloture, it is likely that there are the required 60 votes to end debate on the health care bill. The next step, if majority leader Harry Reid has his way, will be a vote on the actual bill before Christmas. Also contact your own Congressional representatives. Any House member can be reached at (202) 224-3121. I can imagine that the aforementioned reps are outside the Congressional districts of many of my readers. However, their votes will affect us all. You knew it was only a matter of time before the Senate's resident fart joke, Al Franken, would make a complete jackass of himself. But to turn the trick twice in one week? Well, I guess I underestimated just how much of a disgrace he is to my beloved home state. Earlier this week, Franken totally misstates a point made by Senator John Thune and then epitomizes the understanding (or lack thereof) of health care proponents by not even properly interpreting the bill's ramifications. Then in a seemingly unprecedented gesture today, Franken does not allow Senator Joe Lieberman an opportunity to finish his remarks after his allotted ten minutes elapsed. Ah, but take heart Minnesotans. Only 5 years, 2 months and four days more to endure this buffoon. There was much fear and loathing amongst Vikings Nation after getting thoroughly dominated by the Arizona Cardinals this past Sunday. Add on top of that some haughtiness displayed by our Spinach and Lemon Green & Gold neighbors to the east, and you actually have some intrigue in the NFC North race. My how things have changed in just over a month. After finishing off a sweep of the Green Bay Packers on November 1, the Vikings were sitting pretty with a 7-1 record going into their bye week. Then without even playing a game in week nine, the Vikes expanded their division lead to three full games (essentially four games with Minnesota owning the tiebreaker advantage) when the Pack lost to the 0-7 Tampa Bay Buccaneers. Packer Nation was in a veritable meltdown after that, as there were calls for the heads of GM Ted Thompson, head coach Fred Flintstone Mike McCarthy and defensive coordinator Dom Capers. It would have been difficult to believe that the Vikings would have ever been in a "must win" situation until the postseason. But since that fateful week nine loss, the Packers have seemingly righted the ship. They have won four consecutive games and are now statistically the top ranked defense in the NFL. Combine that with the fact the quarterback Aaron Rodgers has survived the poor offensive line play (sacked 43 times in the first ten games; only twice the past two) and the Pack has once again emerged as a threat to be thumped by the New Orleans Saints in the NFC title game in the postseason. My take is I'm assuming the Packers will run the table in their remaining four games, which are at Chicago, at Pittsburgh, hosting Seattle and at Arizona. If that is the case, Green Bay will finish with a 12-4 record. So for the Vikings (10-2) to win the division (and wrap up a first round bye) they must go at least 2-2 against the remaining schedule of hosting Cincinnati, at Carolina, at Chicago and hosting the New York Giants. And if the Vikings can't manage that record in their last four contests then I don't believe they're worthy of the division title, much less for people to take them seriously as a Super Bowl contender. And if indeed the Packers beat the lousy Bears and the Vikes lose to the Bengals this week, the panic will increase amongst Vikings fans while the Purple's margin for error significantly decreases. I've been asked by more than a few friends why I have yet to opine on the recent troubled times of pro golfer Tiger Woods. After all, I have written many sparkling blog posts about Woods and his becoming the greatest golfer, if not most accomplished athlete, in my lifetime. But literally within a two week span, Tiger has had perhaps the largest fall from grace suffered by a celebrity. If one were to mention Tiger's name last month, there are a myriad of things which would come to mind. Like the fact his 14 major championships in thirteen years rank him second behind only Jack Nicklaus. Or the massive wealth Tiger had accumulated through lucrative endorsement deals, the largest courtesy of Nike. And if all that weren't enough, he was married to the smokin' hot Elin Nordegren, a Swedish supermodel with whom Tiger had two children. But as the seedier, more slimy details surfaced regarding the multiple extramarital affairs in which Tiger has engaged, my initial reaction was utter shock. But then I quickly asked myself why I was so taken aback. I mean, I didn't know Tiger personally. I merely saw the utter phenom who did things on a golf course that had literally never been seen. So from that, how is it I could draw the conclusion that he was a man of integrity, a model citizen if you will? It's not unlike how I felt when I learned of the secret life of Kirby Puckett. I saw a gifted, jovial athlete on the baseball field but knew of literally nothing that took place in Puckett's personal life. And that is a life lesson that I have learned the hard way. No matter how genuine and polished a person may appear, we never know what goes on behind closed doors. In an unprecedented collapse at this past summer's PGA Championship at Hazeltine, Tiger Woods lost despite having a two-stroke lead going into the final round. I can only guess that at this very moment he would give anything for that to be the most significant problem in his life. In light of President Obama's decision to send upwards of 30,000 troops to Afghanistan, which bumper sticker did you remove first? Feel free to leave your answer in the comment section. Not sure I've heard any Packer fans get so personal as to invoke Brett's addiction to Vicodin. But the interceptions bit has been bandied about since Favre left Green Bay, and it's a fair criticism. But it was rarely acknowledged during Favre's tenure with the Pack. This week more than ever, emotions are running high in Wisconsin. In case you haven't heard, the legendary former Packer QB is set to arrive in Lambeau Field this Sunday as a member of the hated Minnesota Vikings. First off, I feel the need to correct the record and say that I don't believe all Packer fans are phonies and/or delusional. As a matter of fact, my Uncle Gene and my two blogging colleagues (and good friends), W.B. Picklesworth and Mr. D, are some of the more intellectually honest fans amongst Packer Nation. But when KFAN radio host Dan Barreiro starts getting e-mails from Packer backers saying Aaron Rodgers is the all-time second best Green Bay QB behind Bart Starr? That goes beyond the realm of absurdity. 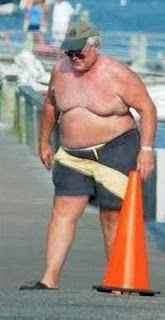 Speaking of absurd, there has been talk all week of how the city village of Green Bay will greet Favre upon his return. A Wisconsin radio station came up with a rather unique, if not morbid, idea. Wendy Killian attends the same church as my wife and I. We don't know her very well but are familiar with the horrific tragedy she endured about four years ago (see WCCO-TV interview she gave Wednesday). It was a warm summer night after a Wednesday church service at Abundant Life church in Blaine. Killian was in her van saying goodbye to her best friends. "My friend Greg brought his little girl, Joy, to my window to say goodbye to me. She was 2-years-old. She said goodbye to me and they went into the church," said Killian. It was the last time she would ever see the toddler alive. Killian thought she hit the curb. She didn't. She accidentally ran over and killed her best friend's daughter. "Everybody was screaming and I ran up to her and started praying and I said, 'God touch her. Do something.' Everyone was just frantic," she said. Joy died instantly in front of the church entrance she apparently snuck out of. I remember four years ago when I learned of this incident. My thoughts immediately turned to the parents of the toddler and the overwhelming grief they must have felt. But I also couldn't help but think of the myriad of emotions Wendy had to endure. Even if she had been nowhere near the scene of the accident, Wendy would have no doubt grieved heavily for the loss of her best friend's daughter. Now throw on top of said grief a tremendous burden of guilt for being involved in such an incident. Killian could not forgive herself for years. "I would replay it in my mind and you hear the screams," said Killian. She said she struggled with thoughts of hopelessness and not wanting to live. Thankfully, Wendy stayed grounded in her faith knowing that God was the only one who could see her through the pain. And while Joy's parents became distant as time moved on, Wendy sought another venue which to communicate with them: she wrote a book. The book's title, "To Have Loved," reflects the love Killian feels for Joy and her parents. "I would just like to tell them that I love them," she said. She hopes her book will show others who are suffering through tragedy how faith can work miracles. "There's hope that they can make it through this and not to give up because everything in you wants to give up," said Killian. "No matter what you're carrying in life, no matter what you're going through, that God is always there and he's always there to help us. If we're willing to hand him whatever we're carrying, he will give us peace and give us freedom." If you have read this blog for any length of time, you no doubt know that my favorite passage of scripture is 1 Thessalonians 5:18, which says "give thanks in all circumstances, for this is God's will for you in Christ Jesus." Certainly Wendy isn't thankful for this tragedy in her life. But in that tumultuous time she was able to exemplify the perfect peace which is only attained through God's grace and mercy. It's a testimony that will undoubtedly lead others out of a period of darkness. More importantly, it's another example of Jesus Christ being the way, the truth and the light. "O" for Obvious (or Overkill). It has been revealed that the two Northwest Airlines pilots who shunned radio communication last week were busy using their personal laptops. Given the preoccupation, NWA Flight 188 overshot the MSP airport by approximately 150 miles last Wednesday evening. While the pilots are currently on suspension, review of this incident will likely result in the their firings. Case closed, right? I mean, if there were a rash of incidents involving non-attentiveness of airline pilots, there would be cause for serious concern. Well in these times of Government desiring to kill the proverbial fly on a wall with a sledgehammer, our senior US Senator feels the need to demagogue get involved. "This may be the ultimate case of distracted driving, only this time it was distracted flying," said Sen. Amy Klobuchar, Minnesota Democrat and a member of the Commerce, Science and Transportation subcommittee on aviation operations, safety and security. "The pilots should have been focused on safely steering Flight 188 home, instead of checking crew schedules." YOU'RE FREAKING KIDDING ME!!!!! Next thing you'll tell me is that playing poker and drinking beer during the flight would have been out of bounds also. I mean, really, Senator. Why don't you just go ahead and point out more incredibly obvious facts, like there being a difference between soup and Thousand Island salad dressing (Well...that's obvious to most people). "It is simply unacceptable," she said. Uh Oh!!! Now we have a disgruntled US Senator on our hands. Any estimates as to how much time Congress will waste on denigrating the behavior of all airline pilots based on the behavior of two dolts? This has the making a bad "Dilbert" story line. Every Sunday evening at 9:30 local time, I tune in to The Sports Show with local sports commentators Sid Hartman, Dark Star and Patrick Reusse. Mike Max is the moderator who throws out sports topics and the aforementioned curmudgeons regurgitate their opinions. While opining on yesterday’s Vikings’ loss to the Pittsburgh Steelers, Reusse specifically referenced the interception thrown by Brett Favre with a minute to play and the Vikings trailing 20-17. The pass was actually tipped by Vikes RB Chester Taylor before it found its way into the arms of linebacker Keyaron Fox. It was subsequently returned 82 yards for a TD, capping a 27-17 Pittsburgh win. Upon rehashing the loss, many Vikes fans lamented the fact that it was the reliable Taylor not hanging on to the catchable throw from Favre which resulted in the final dagger. With that in mind, Reusse went on to suggest that had it been QB Tarvaris Jackson throwing the pass, the blame would have been heaped upon the quarterback as opposed to Taylor. Reusse also contended that the alleged fawning over Favre causes the Vikings faithful to shift the culpability to anyone but the QB. He didn’t elaborate, but I wondered if he was implying that many Vikings fans are too overly fond of having a white quarterback. Uh, from things Reusse has said in the past. That serves to reaffirm that many Vikings fans are phonies at best, and overly fond of the idea of having a white quarterback at worst. If you were among the thousands sitting there in silence as the offense stumbled through the second half Sunday, and want to claim you wouldn't have been screaming for Daunte's neck in the same circumstance, you are lying and you know it. Man, what an arrogant putz. Before that December '05 loss, Johnson had guided the Vikings to six consecutive victories, something that took fans totally by surprise. Expectations were not nearly as high for Johnson (then in his 12th season) as Culpepper, who was tabbed the franchise QB after his selection in the first round of the 1999 draft and was runner-up for the MVP award just a season earlier. In fact, Culpepper's first season as full-time starter (3,937 yards passing and 33 TDs in 2000) ingratiated him to Vikings fans until a drop-off in performance over the next two seasons. Fair or unfair, the disdain for Culpepper stemmed from his inability to maintain the high level of play he had shown in previous seasons. But the frustration over Jackson's mediocre performances had to do with the fact that there were zero expectations that he could succeed in the NFL. So when T-Jack was soundly booed, it was less personal towards him and more a message to coach Brad Childress that he was vastly overrating Jackson. It was at the behest of Childress to trade up to the second round to acquire Jackson when no other team had him projected higher than mid to late third round. Vikings fans felt precious time was slipping by given a strong supporting cast around a QB who many felt couldn't lead the team to the proverbial Promise Land. So do I believe Reusse was invoking the race card on Sunday? No, I do not. Given some of things he has written in his time as a Twin Cities sports columnist, he's nothing more than a condescending gent who feels he's our intellectual superior in every way. Where have you gone, Chris McAlister? Purple Nation turns it's faint hearts to you!! While Vikings' fans wait with nervous anticipation regarding the severity of cornerback Antoine Winfield's foot injury, we know Karl Paymah isn't up for the job. 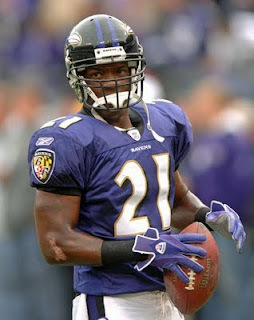 Why not a free agent corner with 26 career interceptions? Given the backlash, Rush Limbaugh being dropped as a potential investor in purchasing the NFL’s St. Louis Rams should come as no shock. Even though the sale process was in the very early stages, there were clear indications that the consortium led by Dave Checketts (with Limbaugh holding only a minority stake) would have had a difficult time receiving 75% approval from the other NFL owners. But in a classic example of why sports writers should stick to writing about sports, ProFootballTalk.com writer Mike Florio totally misses the point and in some cases is flat out wrong in his analysis. We continue to anticipate the launch of Rush Limbaugh's Thursday radio show, during which he'll surely blame the decision to drop Limbaugh from the group that is attempting to buy the St. Louis Rams on Al Sharpton, Jesse Jackson, the media, and possibly anything and everything but the forces of the free market that Limbaugh otherwise embraces. Sure, Limbaugh could disagree with the reasoning the NFL owners might use to deny his exclusion from buying in to an NFL team, but he wouldn’t denigrate the vetting process itself. Rush appreciates and understands business and free enterprise, even if Florio doesn’t. But the problem here is the quotes attributed to Rush (i.e. “slavery had its merits” or “the NAACP should practice robberies”) that were the likely catalysts in his removal from the investment group. Said quotes appear to be totally and utterly fabricated since no audio evidence has been produced (Rush is a radio guy for crying out loud. Shouldn’t be that tough to prove). The media, Sharpton, Jackson, et al are all free to object to Limbaugh’s attempts at buying in to the Rams. But to use information that hasn’t a scintilla of truth would completely fly in the face of the “free market” process to which Florio refers. Besides, libel and slander are still against the law, last time I checked. But we also hope that Rush will reconcile Checketts' characterization of Limbaugh's intended role in the ownership group with Limbaugh's statement from last week confirming his involvement in the effort. Specifically, Limbaugh said that he and Checketts would operate the team. In a statement confirming that Limbaugh had been dropped like a freshly-polished limbo pole, Checketts painted a far different picture. "Rush was to be a limited partner -- as such, he would have had no say in the direction of the club or in any decisions regarding personnel or operations," Checketts said. "This was a role he enthusiastically embraced." If Florio were a field goal kicker, he’d be “wide left” on that attempt. Truth be told, Checkett’s quote that was cited is in line with the Rush’s first public statement regarding the issue. On his radio program on October 7, Limbaugh said he was “part of a group with Dave Checketts that has put in a bid on the St. Louis Rams. And that’s all I can say. And that’s true. ” The key word there is group. Notice that Rush never said he would be involved in the day-to-day operations of the team or be a “co-owner”. Lest we forget, Limbaugh still runs the most popular radio talk show in America. He certainly doesn’t have the time to engage in both endeavors. To me, it went without saying that Limbaugh’s role with the Rams was always intended to be as a minority investor. 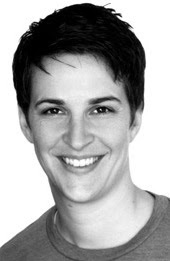 ….and we're beginning to believe even more strongly that this was indeed a publicity stunt, and that it has achieved exactly what Limbaugh intended. So he can now hammer away at his real and perceived enemies. And maybe, just maybe, he'll be able to persuade any of the remaining folks who have no opinion about him that he has been screwed. Again, any investment group with Limbaugh’s inclusion might have been rejected by the NFL, even without the slanderous rhetoric attached to Rush. Fair enough. But this entire one-week circus had little to do with buying an NFL franchise and much more to do with the blatant attempts of those with their own skeletons to assassinate a man’s character. And it also gave sports scribes like Florio an opportunity to sit at the grown up’s table and delve into issues that transcend sports. Bravo! When it was announced that conservative titan Rush Limbaugh was part of a group proposing the purchase of the NFL's St Louis Rams, the reactions were almost predictable. Naturally, the flap over his comments on ESPN SIX FREAKING YEARS AGO would be conjured up once more. But the head of the NFL players union struck first with incredibly vapid objections. NFL Players executive director DeMaurice Smith on Saturday made a move to solidify the union against a bid by conservative talk show radio host Rush Limbaugh as part of a group that aims to purchase the St. Louis Rams. In an e-mail to the union's executive committee on Saturday specifically addressing Limbaugh's bid, Smith said, "I've spoken to the Commissioner [Roger Goodell] and I understand that this ownership consideration is in the early stages. But sport in America is at its best when it unifies, gives all of us reason to cheer, and when it transcends. Our sport does exactly that when it overcomes division and rejects discrimination and hatred." Limbaugh is constantly tagged with these idiotic labels, yet no concrete examples of hatred or discrimination are ever given. I guess being the strongest advocate for such things as personal responsibility and American exceptionalism will get one tagged with such labels. Besides, the only reason Limbaugh's personal views are such an issue is that he makes a living by making said viewpoints known. If other NFL owners were subjected to similar probes, how many would get full support from the NFLPA? That's a fact not lost on a surprising Limbaugh defender. Keith Olbermann of MSNBC defended Limbaugh's right to buy the Rams. And Olbermann made the critics of Limbaugh on this point entry No. 3 on Olbermann's nightly "Worst Persons in the World" segment of Countdown. "They're now gonna be character tests for sports owners?" Olbermann said. "There'll only be three of them left. Unless they beat the Vikings Sunday as of next Thursday it will have been a full year since the Rams won a game. My God, if Limbaugh wants to buy them far be it for me to tell him he's flushing his money down a rat hole." Exit question: Is Olbermann now considered a de facto racist for his defense of President Obama's harshest critic? ....it's not how you start, it's how you finish. For the third time in the past ten seasons, the Minnesota Vikings have started a regular season 5-0. While that's nice, it guarantees absolutely nothing. The previous two seasons in the past ten which the Vikes got off to such a nice start? 2000: The Vikings actually started 7-0 with first year starting quarterback Daunte Culpepper at the helm. But they seemed to hit a wall after week fourteen when they had a 11-2 record. The Vikings would go on to lose their final three regular season games, allowing an average of 35 points per contest. The season culminated in the NFC title game, a horrific loss to the New York Giants. That's a game affectionately known as "41-doughnut". 2003: With Culpepper having one of his finest seasons as a pro, the Vikes would start 6-0. But once again they inexplicably floundered, losing the next four games and six of their final nine. In one of the uglier ends to a regular season, the Vikings lost to the pitiful 3-12 Arizona Cardinals, thus being eliminated from playoff contention. Am I excited for the 5-0 start? Sure. But no team ever clinched a playoff birth with five victories. Happy birthday to a fellow 40-year old! It was July 15, 1982 when I attended my first Twins game at the Hubert H. Humphrey Metrodome. A bunch of young, rag-tag ball players made up the Twins roster by that point in the season. Earlier in the year, owner Calvin Griffith jettisoned such notable veterans as Roy Smalley, Butch Wynegar, Rob Wilfong and Doug Corbett in an effort to shed payroll. As a result, the Twins fashioned a dreadful record of 28-59 going into this game against the Detroit Tigers. Since we obtained our tickets to said game through the local rec center, my buddies and I were all stuck in the center field upper deck. See, as another cost savings measure the Twins organization wasn’t even making available tickets for the lower left field seats. The hope would be that fans who desperately wanted to be in the lower decks would instead opt for the more expensive seats around third and first base. As young teenagers, my friends and I were in awe of indoor baseball. Imagine, no game would ever be rained out again! No more taking a bus all the way to the ball park and sitting in a torrential downpour waiting for the game to start! In our minds, the Metrodome was a veritable eighth wonder of the world! So it didn’t bother us in the least that the Tigers scored 11 runs in the top of the first inning. Even though the Twins would go on to lose 18-2, we had the time of our lives! Over the next 28 seasons, I would attend scores of baseball games in the plastic ballpark. I was front and center for the surprising divisional race in the then American League West division back in 1984. I would also be among less than 10,000 fans present for a game the last weekend of the 1990 season when the Twins would finish in last place. Of course, I found a way to attend nearly twenty games the following year when my favorite baseball team made that magical “worst to first” run, winning their second World Series in five years! This year, for the first time ever, I was a partial season ticket holder. So will I miss the Metrodome itself? Not in the least, considering what the Twins are getting in the new Target Field. But I will always cherish the memories of the many games I was privileged to watch! PSST. Guess who's the only QB in NFL history to defeat all 32 teams?? With the American League Central division title on the line, Tuesday's one-game playoff with the Twins hosting the Detroit Tigers still counts as a "regular season" game. That said, Twins catcher Joe Mauer has not been officially declared the A.L. batting champ. So what has to happen for Mauer to not win his third batting title? If he goes 0 for 18 on Tuesday, then Seattle's Ichiro Suzuki is your 2009 American League batting champion. On Sunday, September 13, the Detroit Tigers beat the Toronto Blue Jays to improve their record to 76-66. Meanwhile, the Twins shut out the Oakland A's, giving them a record of 71-72. With the Twins 5-1/2 games out of first place with 19 to play, many Minnesota sports rubes (myself included) started focusing on the start of the NFL season. The logic of course was that if Detroit merely played .500 baseball the rest of the season, the Twins would have to go a whopping 15-4 just to tie for the division lead. And since power hitting first baseman Justin Morneau had just been declared out for the season, no one was giving the Twins a chance. The Tigers did indeed go 10-10 in their final twenty games. And inexplicably, the Twins somehow won 15 of their final 19 games to force, for the second consecutive season, a one-game playoff to decide the American League Central division title!! Tuesday, 4:00 pm at the Metrodome, the Twins will host the Detroit Tigers for the...ahem...."privilege" to play the New York Yankees in the first round of the playoffs. The staple of Twin Cities morning radio, Tom Barnard, has announced he will be leaving the wildly popular KQ92 Morning Show. I wanted all of the great listeners of the K.Q. morning show to hear it directly from me. I will be leaving the Morning show on Dec. 21, 2012. That will give the show enough time to find out who should host the show as my role begins to diminish in the last few months of 2012. They can continue on for many years after I leave with their abilities and talents. I want to thank all of the people who supported the show over the years. You gave my family the life we have and we are very grateful to you for it. You really are the best in the business. As Christopher Guest would say "let's just do a good show!" for the next 39 months. This show has been a fixture in my morning commute since the fall of 1987, when I was beginning my freshman year of college. To think of the KQ Morning Show without "Tommy B" is definitely a lot to process. There's a more detailed post that I'll have to put together later on. Oakland Raiders fossil owner Al Davis hired current coach Tom Cable last season after firing Lane Kiffin for not being able to jam his hand up Kiffin's back "cause". Enter Cable, who took over on an interim basis in 2008 and then was given the job prior to this season since Al couldn't find any other puppets qualified candidates. Since Davis is so prolific when it comes to searching for head coaches, he may have another opportunity to indulge. Though the story has migrated away from the back burner since the start of the regular season, it's not going away. And that's not good for the Raiders. According to Jason La Canfora of NFL Network, Raiders defensive assistant Randy Hanson has told Napa police that Raiders coach Tom Cable broke Hanson's jaw during an early-August confrontation. Hanson's lawyer, John McGuinn, declined to delve into the details, but McGuinn said that it was a "textbook case of felony assault." Hanson was interviewed by authorities investigating the case on Friday night. It appeared Hanson was willing to let bygones be bygones, until Cable denied the incident and New England Patriots shill ESPN football analyst Mark Schlereth expressed his shock, SHOCK that Cable could be accused of such a thing. Lost in the vehement defense of the Raiders coach was the fact that Schlereth was a player at the University of Idaho in the late 80s, the same time Cable was a graduate assistant there. Legend has it that Davis once tried to coax 48-year old Jim Brown out of retirement in 1984 to play for the first time in nearly 20 years. Who knows? Perhaps Davis could entice John Madden to coach again. Heck, I wouldn't put it past Al to have an agreement in place would where Madden would only have to coach home games. Could there possibly be any more of a dysfunctional franchise in pro sports today than the Oakland Raiders? An old friend of mine was in town from San Diego this weekend for a family reunion. For the past several years he has been pastor of a church in San Diego. So it was a treat to hear him and his dynamic preaching at a church in St. Paul this morning. Unexpected, however, was a gentleman from India, who is also a missionary in that region. The Rev. C.P. Thomas was the "opening act", if you will. Anyhow, he shared his testimony about his ministry taking place in northern India, which is near the Pakistani & Afghan borders. In four years, his ministry has taken in literally thousands of Taliban members and have led them to accept Jesus Christ as their Lord and Savior! There was also video footage of some of the more notorious Taliban leaders (including those instrumental in killing 200 members of American forces) being baptized!! Keep in mind, these men and women in that area are basically signing their own death warrant with such a religious conversion. And Rev. Thomas himself has been brutally beaten for preaching the gospel of Jesus Christ. Such displays of faith causes American Christians (myself included) to really assess the strength of our own convictions. Because of the religious freedom we have in this great country, it's easy to perhaps underestimate the responsibility to share God's glory. Yes, this was yet another Sunday where I left church a lot different person than when I walked in. One of the more despicable claims made by the American left is that those who engage in tea parties and town hall protests are nothing but racists who fear a black man spending their money. So if you cling to that idiotic meme, answer me this: Do you honestly think conservatives would stand pat if ultra liberal John Edwards were the President making the same policy decisions? Of course not! We would be just as outraged. So if Edwards were President and we conservatives were just as objectionable to such disastrous policies, would you lefties then accuse us of what you're guilty of on a regular basis? That is, blaming the country's problems on a Southern white male? What is your favorite Patrick Swayze movie? Whether or not you’re a fan of women’s tennis, undoubtedly you have heard of the Williams sisters. Between the two of them, they have won twenty grand slam singles titles (Venus – 9; Serena – 11). They both have Olympic gold medals and as doubles partners have amassed another nine Grand Slam championships. But the one thing they have yet to accomplish is learning how to lose with dignity. If you ever listen to a post-match press conference after a loss, neither Williams sister ever gives kudos to an opponent for their stellar play. Now I get the fact that as a professional athlete you need a substantially large ego. But conceding that you were outplayed on a given day is far from acknowledging that another player is better overall. And after yesterday’s meltdown in a US Open semifinal loss to Kim Clijsters, Serena Williams brought “lack of accountability” to a new level. With Williams serving at 5-6, 15-30 in the second set, she faulted on her first serve. On the second serve, a line judge called a foot fault, making it a double-fault -- a call rarely, if ever, seen at that stage of any match, let alone the semifinals of a Grand Slam tournament. That made the score 15-40, putting Clijsters one point from victory. Instead of stepping to the baseline to serve again, Williams went over and shouted and cursed at the line judge, pointing at her and shaking a ball at her. Dropping the f-word liberally, Williams said, "I swear to God I'm [expletive] going to take this [expletive] ball and shove it down your [expletive] throat, you hear that? I swear to God." But in the post-match press conference, when asked about threatening the official, Serena stated ”"I didn't threaten [her].” Serena even seemed shocked, SHOCKED that the target of her ire felt threatened at all. One can make a subjective argument if a loss in a tennis match is due to poor play or a superior opponent. But spewing f-bombs and “swearing to God” that you’re going to invoke harm on another human being is not a threat? Seems to me there was strong empirical evidence to the contrary. I haven't watched any news programs this morning, but one thing is usually certain on any anniversary of the 9/11/01 terrorist attacks: Democrat politicians and/or liberal pundits will appear on news shows and ponder the obligatory "Are we safer than we were ___ years ago?" We will then hear how George Bush made us less safe and how the Iraq war bogged us down, etc., etc., etc. Again, this banter may have taken place already today but thus far I have yet to hear any instances of this usual coarse rhetoric. Then again, Keith Olbermann and Ron Reagan Rachel Maddow are on in primetime. This is a follow up to one of my posts from last week. In his own words, evangelist Jason Frenn talks about a door God opened for him a few years ago. Some time ago I had mentioned that I was thinking of a different direction for my blogging career. 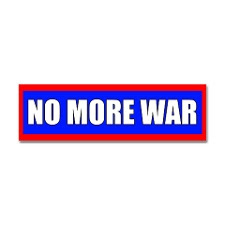 I have decided I will march on with this blog but at the same time participate in a team endeavor. Hence, the new venture entitled Grumpy Old Men. Go on! Check it out! Remembering "The Don" of voices. It was sometime in 2006 when evangelist Jason Frenn, founder of Power to Change, was devising the means to promote his ministry. His first inclination was to create a DVD series of the messages he had preached across the globe. While compiling ideas for these multimedia venues, a television commercial caught Jason’s attention. It was one of those Geico ads where regular Geico customers tell their respective stories with the help of someone from the entertainment industry. It was at that very moment when Jason received a word from the Lord. He was told that it would be the legendary LaFontaine, the voice of literally thousands of trailers, who would provide the promotional voiceover for his DVDs. Given that LaFontaine was such a titan in the voiceover industry, Jason was hesitant due to his ministry's rather minuscule budget. But since Jason was convinced he had heard from the Lord, he proceeded with the utmost faith. He was able to locate the promotional company for which LaFontaine worked. But after barraging them with e-mails and phone calls, there was nary a reply. Jason then turned to the publicists who represented LaFontaine but the results were the same. Out of complete desperation, Jason went to LaFontaine’s personal web site. While there, he clicked on a link entitled “Contact Us” and sent off an e-mail of what he was looking for. 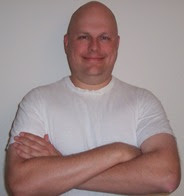 On September 1, 2006, Jason received a generic e-mail from the Don LaFontaine web site. Attached was an mp3 file with a simple note wishing Jason and his ministry well. The e-mail was simply signed “Don”. After weeks of exhaustive research, prayers and unanswered inquiries, Jason heard from the legendary voice himself, who delivered the kind of promo which Power to Change had sought after for months. Exactly two years after his generous contribution to Jason Frenn’s ministry, Don LaFontaine would pass away at the age of 68. And today, exactly one year after his untimely passing, LaFontaine is still missed by all those who knew his generosity. I always look forward to late August when my wife and I can make our annual trek out to the Minnesota State Fair. To be honest, I have a normal routine when I go to the fair. My main interests are my favorite local radio shows as well as partaking in my favorite "entrees" (Cheese curds, deep fried Spam curds and pronto pups top the list). But this year featured an added bonus! 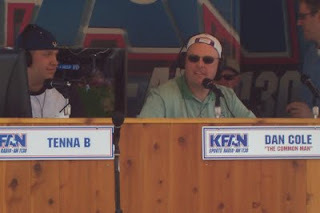 As I visited the broadcast site of Dan Cole's afternoon radio show on sports radio AM 1130 KFAN, they announced an opportunity for listeners to fill in on the 1:35-1:50 segment. Given that I'm an aspiring radio host, my ears perked up. All one had to do was enter his/her name in a drawing. With only six entrants, my chances were pretty good. Sure enough, myself and another listener named Doug had our names drawn! For 15 minutes we bantered about sports and even had fun at the expense of some audience members. For the audio of our appearance, click here. It starts about two-thirds of the way into the podcast. I had an absolute blast and even received a ringing endorsement from the show host himself! Could this lead to other guest appearances in the future? After more than a year long battle with a brain tumor, Sen. Edward Kennedy passed away at the age of 77. I’ve often been told that if you don’t have something nice to say about someone, don’t say anything at all. Admittedly I have often violated that sentiment on this blog. Nevertheless, I will not line up to whiz on the grave of the senior senator from Massachusetts. Instead I will highlight a few audio/video clips of Senator Kennedy in his own words. -Kennedy's explanation for driving off a bridge, resulting in the drowning death of Mary Jo Kopechne. -After his savagery of SCOTUS nominee Robert Bork in 1987, Kennedy unwittingly created the verb "Bork". 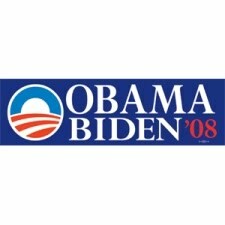 -Incoherent endorsement of President Bill Clinton for a second term as President. -More Teddy incoherence, as he bungles the names of baseball sluggers Mark McGwire and Sammy Sosa. -A classic from the Democrat playbook: Don't like the current law on the books? Change it! By the way, conservative pundit Rush Limbaugh stated last March that the Congressional Democrats would use Kennedy's illness as leverage for overhauling the health care system. Rush was then roundly criticized for saying that before it was all over, any health care legislation passed would be known as the "Ted Kennedy Memorial Health Care Bill." So if you listen to various members of Congress, what is it they're essentially saying today? "Let's get this done for Teddy! Let's make it part of his legacy!" One of the latest parody songs is Banking Queen, sung to the tune of ABBA's Dancing Queen. It stars Congressman Barney Frank*, a Massachusetts Democrat and chairman of the House Financial Service Committee. I remember pretty clearly my cousin Toni getting married thirty years ago. Yeah, she was a very beautiful twenty year old bride. Fast forward thirty years to yesterday afternoon where I witnessed Toni's 26-year old daughter taking that stroll down the aisle. It's still hard for me to fathom that I'm at the age where I vividly remember two generations of family members getting hitched. Nevertheless, congratulations to my cousin Heather and her new husband Luke on what was a beautiful and very thrifty ten-minute ceremony! 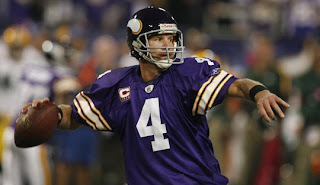 While many Packer faithful deny it, the fact that several are still taking gratuitous shots at Brett Favre proves that it bugs them he's a Viking. "And those that are saying, 'I've moved on; I don't care about Favre anymore,' you know what? They are trying to convince themselves. "You can't have a player who quarterbacks your team for 16 years -- who means everything to the Packers and football in Wisconsin -- and say it doesn't mean anything that he now will be playing for the big rival. OK, it’s really happening this time? 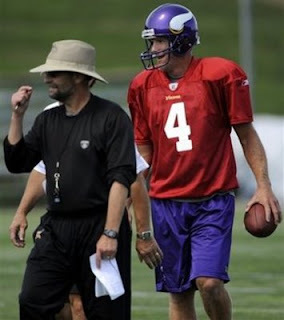 Brett Favre is actually going to be the Minnesota Vikings quarterback in 2009? I won’t rehash why I think this signing is great for business but “iffy” from a football standpoint. I went through all that when Favre told coach Brad Childress he was staying retired. Make no mistake. Favre is coming back for one reason and one reason only: to win a Super Bowl. Indeed, many will say that the Favre signing is a failure if there is anything short of a championship. I vehemently disagree. Say the Vikings get all the way to the Super Bowl and lose or they finish 10-6 and lose in the divisional round of the playoffs. Is any Viking fan going to have the temerity to say ”We should have stuck with Sage Rosenfels or Tarvaris Jackson”? As Vikings fans we need to be intellectually honest. Even if Favre does not lead our favorite squad to the proverbial Promise Land, the possibility doesn’t even exist if Jackson or Rosenfels are at the helm. Went for my haircut tonight and asked the stylist "Are you familiar with the 'Mr. Clean' look?" She indeed was. 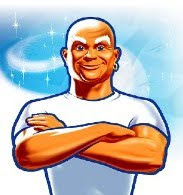 Admittedly, I have neither the biceps nor the barrel chest to be mistaken for Mr. Clean himself. Ah, but the stylist told me I held up pretty well in that department. Yes, she got a nice tip! A great day at the PGA!! While making small talk with the CEO at my workplace Friday morning, he asks me if I would be attending the PGA Championship at all. ”I wish”, I replied. ”Well, would you like to”, he asked me. Anytime I can start the weekend early, I’m all for it! But to have the opportunity to attend one of the most prestigious, in-demand venues (i.e. a PGA major tournament) was positively mind-blowing! So courtesy of one of our vendors, I was heading to the 91st PGA Championship! I arrived at Hazeltine National Golf Club in Chaska at about 1:30, which was about fifteen minutes before my favorite golfer, Tiger Woods, was set to tee off. Initially I decided to wander around the beautiful golf course and just soak in the atmosphere. Part of the perks I received with my complimentary pass was admission into one of the three “hospitality villages”. Each of these three areas was named for a golfer (Tony Jacklin, Payne Stewart and Rich Beem) who won a major tournament played at Hazeltine. As I made my way to the Rich Beem Hospitality Village (which was complete with air conditioning, private restrooms, free drinks, free food and H.D. TVs), I was passing the green on the 2nd hole just as Tiger, Padraig Harrington and Beem were getting ready to putt. All three golfers attained par on that hole so I followed them to the third tee box to witness the vaunted Tiger Woods tee shot. With the 3rd hole being a 633 yard Par 5, I witnessed Tiger hit the fairway right down the middle with his driver! After taking about 30 minutes for lunch, I headed out to the nearby 10th tee box to see the various threesomes come through. As a result, I got a glimpse of such notable players as Sergio Garcia, Tom Lehman, Jim Furyk and Kenny Perry. There was about 20-30 people near the 10th tee and fairway for the five threesomes that passed through while I was there. But when Tiger’s group arrived? Literally hundreds of fans walked alongside Woods & Co. as they approached the tenth. This time I followed Tiger the entire hole. As I made my way towards the tenth green, I came across legendary broadcaster Verne Lundquist! Given the sports rube that I am, I have heard Mr. Lundquist’s work in the NFL, NCAA football and basketball, as well as golf. In fact, one of Lundquist’s most memorable calls was Tiger’s unbelievable chip in at #16 at the 2005 Masters. As I greeted Verne, I asked him if he is ever asked to recite the “Christian Laettner call". He got a good chuckle out of that one. Unfortunately, Tiger would go on to bogey the tenth, falling into a tie with Harrington for the overall lead. I then watched Tiger’s tee shot at the 606-yard, par five #11, only to see him hit it into the rough. Up to that point I personally hadn’t seen Tiger do anything truly spectacular. Given the insufferable heat and humidity, I decided to reconvene to the Rich Beem H.V. to rehydrate. After watching Tiger on TV save par on #11, I decided to hang out by the nearby 16th green to see the various groups complete the hole. One player which caught my attention was an Englishman named Ross Fisher. After putting for birdie on the 16th, he was tied with Tiger for the overall lead (minus-5 at the time) thanks to a second round score of minus-6 through sixteen! Since I also enjoy golf’s “Cinderella stories”, I decided to follow Fisher to holes 17 & 18. Unfortunately he bogeyed both holes, thus falling back to minus-3, but still good for a second place tie through two rounds. I then returned to my spot at the 16th green in time to watch Tiger’s group. Finally I got to see vintage Tiger Woods as he hit about a 20-foot putt for birdie! That gave him a four shot lead, which he maintained as he finished up on Friday. Since Tiger is 8-0 in majors where he has led after two rounds, it appears he is on his way to a record tying fifth PGA Championship title. I headed out at about 7:30, six hours after I arrived. I was probably a little sunburned and definitely soaked with sweat. But it’s an experience I would re-live in a heartbeat! Yep! I still got it!! Does anyone know who the first base umpire was in Game 7 of the 1991 World Series? If you were armed with that knowledge at 5:45 this evening, AM 1500 KSTP had four tickets to give you for the Monday, August 24th game against the Baltimore Orioles. OK, part of the answer was given by sports guy Matt Thomas on Twitter prior to the trivia question being asked. But the subject was umpire Hunter Wendelstedt and his ongoing feud with Twins manager Ron Gardenhire. Anyhow, Wendelstedt's Dad was also a Major League Baseball umpire back in the day. Thus we were asked what is the senior Wendelstedt's first name and at which base did he umpire in that '91 World Series game. Since the answer to the second part was given, the fact I remembered the name of umpire Harry Wendelstedt won me the tickets!! Often when I recite obscure facts and statistics about....well...any subject, I am greeted with the inquiry "WHY do you know all this???". It can occasionally pay off! Timberwolves finally hire a coach. In Game 4 of the 1984 NBA Finals, Kevin McHale “clothes lined” Kurt Rambis when they were opposing players. 25 years later, McHale has hamstrung Rambis. With Rambis having been hired as the coach of the Minnesota Timberwolves, he takes over a franchise marred by poor personnel decisions of former Wolves VP McHale. Rambis eventually got his revenge for the clothes lining when his Lakers beat McHale’s Celtics in the 1985 and 1987 NBA Finals. As McHale’s successor in the head coaching position, it’s uncertain what kind of retribution Rambis can employ with what has been a moribund franchise over the past five seasons. Make up your minds. Is dissent patriotic or not?? According to Drudge Report, an op-ed penned by House Speaker Nancy Pelosi and Majority Leader Steny Hoyer will appear in the USA Today on Monday. It is reported that Pelosi and Hoyer dub townhall protesters as "un-American" for their objections over the government's attempt to overhaul the health care industry. It's rather disturbing when two high ranking officials in the legislative branch of government bristle at dissent. The very essence of the first amendment is the right to criticize government without fear of retribution from said body. I'm sick and tired of people who say that if you debate and disagree with this administration, somehow you're not patriotic. We need to stand up and say we're Americans, and we have the right to debate and disagree with any administration. In 2003, then Senator Hillary Clinton actually shrieked that very diatribe. And of course she was lauded for taking the Bush administration to task over their alleged attempts to suppress opposition to the Iraq war. It was complete bull pucky of course, as President George W. Bush rarely hit back at his detractors, much less having displayed the petulance exhibited by the White House's current occupant. And the Bush administration endured far more blatant invective than anything the Obama presidency has seen. The outcry from citizens over the past six months has been more of strenuous objections to President Obama's policies as opposed to ad hominem attacks, which were seen on a regular basis during the Bush presidency. I guess labeling protesters as "un-American" is easier than having to defend disastrous policies. Ron Gardenhire is in the midst of his eighth season as manager of the Minnesota Twins. That means Gardy has now managed four even-year seasons (2002, '04, '06 and '08) and four odd-year seasons (2003, '05, '07 and '09). In the four even years, the Twins have averaged 93 victories per season and have won three division titles. After Friday evening's loss to the Detroit Tigers, the Twins are on pace to win only 79 games this season. If they maintain that mediocre pace, the Twins will have averaged only 83 victories per odd year, with only one division title. Oh well. If the tradition holds, the inaugural season at Target Field should be a successful one! What do all these quarterbacks have in common (other than the fact they're non-descript and/or mediocre)? Hey, remember me?? Probably not, since I haven't been stopping by here very much. Given the new online tools that are Facebook and Twitter, I've pretty much ignored this blog. And the fact it's Summertime motivates me to do things outside as opposed to sitting in front of a computer screen. So does that mean it's time to hang it up?? Well.....no. I'm not to that stage yet. But I have been thinking seriously about what direction I want to take this blog. Politically, I'm worn out by the empty suit who currently occupies the White House. And since the Twins have been anywhere from mediocre to unspectacular, I've lost interest in writing anything about them, as well as major league baseball in general. For a while, taking gratuitous shots at my Dad seemed to be my favorite pastime. But in looking back at some of things I wrote on that subject, I'm rather embarrassed by how petty I became. Not to mention the fact I wasn't being the best ambassador for God's kingdom. To quote Sopranos dim-witted character Little Carmine Lupertazzi, I'm at "the precipice of a major crossroads". We'll see what the future may hold. So quarterback Brett Favre is staying retired, eh? Regardless whether or not Favre decided to play this season, I'm just glad all the speculation of "will or won't he" has finally ceased. From a business standpoint, this would have been a great signing! Every home game (regular season and playoffs) would have been sold out. And sales of #4 jerseys (assuming third string QB John David Booty would have surrendered the number) would have rivaled that of Adrian Peterson's #28. From a football standpoint, it would have been an iffy move. Favre (who will turn 40 on October 10) got off to a nice start with the New York Jets last season, throwing 20 touchdowns passes in the first eleven games. However, the Jets limped to a 1-4 finish with Favre throwing only two TDs and nine interceptions. While I am confident that his arm is healthy now, in what kind of shape would it have been come December? In fact, the Favre mystique in the final month may have faded. In his past two Decembers (covering eight games), Favre had thrown thirteen interceptions. We all know that Favre would have been brought in for one reason and one reason only: To help the Vikings win a Super Bowl. Once again, that was no guarantee. While he led the Green Bay Packers to two Super Bowl berths (including one championship) in his first six seasons, Favre's postseason performances since then have been rather unremarkable. In the nine postseason games after the Green Bay Packers' last Super Bowl appearance, Favre guided his team to a mere 3-6 record with more interceptions (18) than touchdown passes (16). And some of those picks were downright hideous. Who can forget the 2003 divisional playoff game at Philadelphia? In overtime, Favre threw an interception so ugly that it looked as though Eagles defender Brian Dawkins was making a fair catch on a punt. The Eagles would drive into field goal range and win 20-17. And many recall Favre's Packer finale in an overtime loss to the New York Giants in the 2007 NFC title game. On the first possession of overtime, Favre totally misfired on an out pass to Donald Driver, resulting in an interception by the Giants' Corey Webster. Shortly thereafter, the Giants earned a berth in the Super Bowl with a 23-20 victory. A couple of months after the '07 championship game, Favre tearfully said goodbye to his Hall of Fame football career....for about 4 months until he scratched the proverbial itch to play football again. With the Packers already committed to Aaron Rodgers for the 2008 season, Favre was traded to the New York Jets. Favre being dealt not only marked the end of an era in Green Bay, it also liberated Packer Nation from the continuous alibis. Despite all of the playoff failures and the annual charade of keeping the organization guessing about his future, Favre seemed immune to criticism. Because he lifted the Packers out of the 20-year doldrums upon his 1992 arrival in Green Bay, fans were all too willing to forgive and forget the playoff failures of Favre's final ten seasons. But because Favre had the gall to continue his football career outside Green Bay, WI, it was only then that Packers fans discovered what many outside of Wisconsin have known for the past several seasons -- Favre had not been nearly as clutch in big games as he used to be and had also been a pain in the rear for management. Sure Favre was rightfully open to criticism for "un-retiring" last year. But it seemed many Packers fans started piling on about the diva like behavior Favre exhibited in Green Bay only after he left the Packers. As I said at the outset, signing Favre would have guaranteed nothing in terms of the Vikings' chances of reaching the Super Bowl, much less improving upon their first round playoff exit of last season. But I believe Favre would have been a significant upgrade over what the Vikings currently have in place at the QB position. And that is the one reason why I'm disappointed the Favre signing didn't happen. So now the focus shifts to Tarvaris Jackson and Sage Rosenfels in an open competition for the starting quarterback position. And I have no concern whatsoever if the two QB's felt disrespected over all of the Favre talk. The fact is neither Rosenfels (a career backup his entire 8-year career) nor Jackson have accomplished anything to make the Vikings organization not feel the need to look for an upgrade at the position. Best thing now is to put the whole saga behind and look to capturing another NFC North championship. With the July 31st trade deadline looming for Major League Baseball, I will be keeping a sharp eye on the local nine, who haven’t made a significant move since 2003. With the Minnesota Twins only four games out of first place in the AL Central division, an upgrade to their roster could propel them to their first division title since 2006. There has been word that the Twins have scouted Pittsburgh Pirates second baseman Freddy Sanchez and shortstop Orlando Cabrera of the Oakland Athletics. If the Twins somehow obtained both for the stretch drive of this season, the lineup would look a lot more formidable. The move that would make the most sense is acquiring Sanchez since he also has a club option for 2010 (Cabrera only has a contract for this season). If the Twins were to pick up that option, they would have one of their major holes filled going into the first season of the brand new ballpark. It may also trigger a contract extension for all-world catcher Joe Mauer. With Mauer due to be a free agent after the ’10 season, it would behoove the Twins to lock him up prior to him hitting the open market. Besides, what kind of damper would that put on the inaugural season of Target Field if Mauer were not signed past ’10? After all, Mauer has indicated that his litmus test for signing a long term contract would depend upon the organization’s commitment to winning. Adding an All Star second baseman to the mix would likely go a long ways. So if the Twins do indeed obtain Sanchez by this Friday, it will not only help them this season but its ripple effect could help them lock down their franchise player for the long term. The latest in the Brett Favre news is....well....not really news at all. With Minnesota Vikings players scheduled to report to training camp in less than a week, Brett Favre remains anguished about whether he should come out of retirement and join the team. That decision, according to sources, has become more difficult in recent days because of the efforts of Vikings players including Adrian Peterson, Jared Allen and Steve Hutchinson, all of whom have now begun calling and texting Favre in an attempt to convince him to become Minnesota's starting quarterback. "If it weren't for the involvement of the Vikings players directly telling Brett they want him on their team, I think he might have already decided against playing again,'' a source said. Over the last three months, Favre himself has rarely gone on the record. In fact, most "updates" have merely cited unnamed sources. But the one time Favre spoke publicly was July 16, when he himself imposed a deadline on making a decision. The quarterback told The Associated Press that he'll give the Vikings an answer on whether he'll play by the July 30 start of training camp. Favre has been working out with the Oak Grove High School football team three days a week all summer, but added a Sunday workout this week. "There's two weeks left and I'm doing everything I can," Favre said. "I was down here Sunday morning working out. I'm trying to get everything to where I feel 100 percent when I go in. I can't go in any less. When you're 39 years old, it's hard enough. But it's getting there." 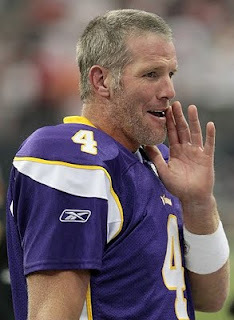 Favre said if the arm strength wasn't there, he wouldn't be making a bid to return for his 19th season in the league. "I don't think Minnesota would even consider it if I didn't have it," Favre said. "Second of all, I wouldn't even think about it if I didn't have it. Now, having it here and having in on the field on Sundays is two different things, I know that for a fact. I know what it takes to play on Sunday and I still believe I have that." Favre said his hesitation is more about what those watching him practice might not see. He used a golfing analogy to explain his situation. What if, he asked, Tiger Woods came back and found he didn't have the same game? "He goes out and hits a 2 iron and he thinks it will go the normal distance it has all his life, then all of a sudden it's 13 yards short, and he says, 'I don't know why that is because everything felt perfect,' so that's what I have to get through," Favre said. "If you're throwing and it's a little off and you have a little pain, it's a little bit understandable. If there's no pain and there's no excuse, that's where you've got a problem. So I want to go out and have one of those days throwing and then have another where all of those throws you make, every warmup throw you make or just in general, feels perfect." If you read Favre's quotes from last week, didn't you get the indication that he was already wrestling with the decision, maybe even conveying some anguish? I mean, this is it. The only thing Favre has ever known for the past nineteen years is hanging in the balance. And one of his biggest concerns last Thursday was that there was only "two weeks left". So doesn't it stand to reason that he may be even more anxious a week closer to July 30th? So, again, I don't understand how it's news that Favre is displaying "anguish" over the biggest decision of his illustrious NFL career. He said he would give the Vikings an answer next Thursday. So unless he shocks us all and gives a definitive answer prior to then, anything that happens between now and the 30th is pretty much non-newsworthy. 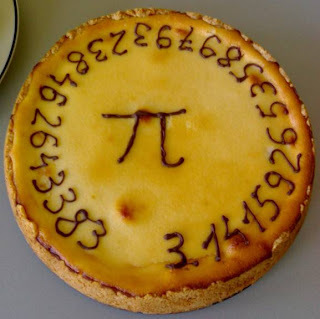 Pi Approximation Day celebrates the mathematical constant π (pi). It is observed on July 22, due to π being roughly equal to 22/7. Bakers Square would be wise to capitalize on this occasion.